Alcoa will make bolts, nuts and rivets used to hold a variety of aircraft together. The company said the contract is its largest-ever fastener deal with Airbus, one of the biggest manufacturers of aircraft in the world. Alcoa's parts will be used in jets including the A330, A320neo, and Airbus' newest commercial plane, the A350 XWB. Shares of Alcoa rose 85 cents, or 8.9 percent, to $10.37 in afternoon trading. The stock has fallen 34 percent over the last year. Through a string of deals Alcoa has remade itself as a manufacturer of lightweight metal and alloy products for aerospace and autos. A week ago Alcoa said it would split into two companies: the aerospace and auto segments will be part of a new, as-yet-unnamed engineered products company, while its bauxite, aluminum and casting operations will keep the Alcoa name. 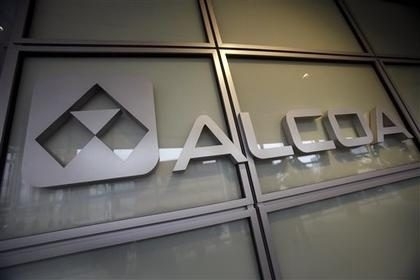 Alcoa says the engineered products business had about $14.5 billion in revenue over the 12 months that ended June 30, and the upstream business had about $13.2 billion in revenue over that period. The company expects to complete the split by late 2016. Alcoa Inc. is scheduled to report its third-quarter results after the market closes on Thursday. Its report is considered the start of the quarterly earnings period.